I am so sorry for disappearing, I had to resurrect my laptop twice this week in the middle of writing articles. Unfortunately I lost both of them but inshaAllah I will re write them soon.For now, I really don’t want you to miss on this offer from Hotel Tonight. 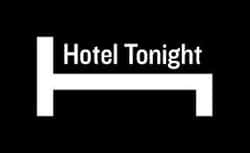 Hotel Tonight is an app for Android and iOS that lets you book hotels for the same night. Raffles from Head for Points posted about how to get a £30 credit for your next hotel stay. Here is how:Step 1: First you have to download the app then you can use the promo code RBURGESS15 on the sign up screen and £15 will be added to your account. Step 2: In order to receive the second £15 you will have to enter the promotional code BOOKEUROPE in your account. I was very impressed with the level of customer service and their efficiency considering that it was Saturday! Their hotel inventory has some considerable savings too and with this £30 on top you are out for a bargain inshaAllah. P.S. they have some job openings where you can work from home. If you are interested check their website for details.